Functionality doesn't mean you have to compromise on design. 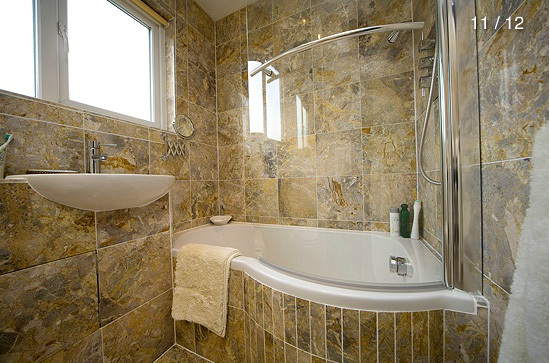 Our team of fully-qualified tradesman engineer the spacious bathroom or wetroom to suit you and your family’s needs. We are a small team, and we strongly believe that this means joined-up, cohesive planning, enabling us to find unique solutions to problems and deliver your vision without hiccups - whilst also making your living space exclusive to you. Modern bathing is based on ideas originated in the Roman Bathing Houses, in terms of style, design and luxury. 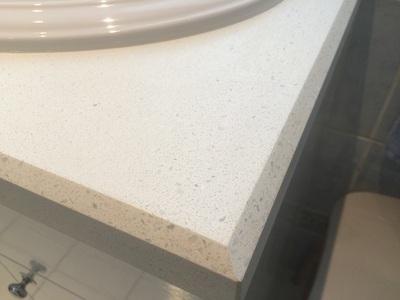 Natural stone has been an eternal feature of bathroom styling throughout the ages - evidence that not only is it a sign of luxury and opulence, but that it is timeless. The beauty of natural stone is very difficult to replicate, and manufacture tiles invariably date quickly. 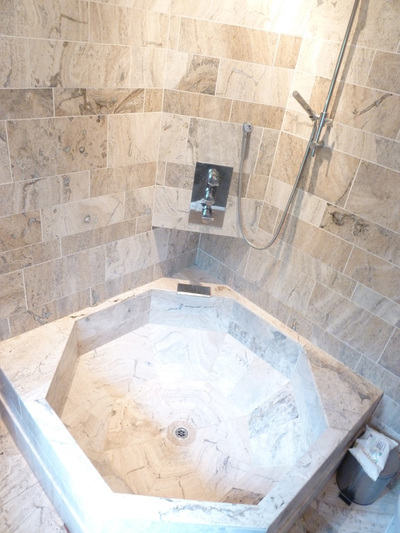 Stone is easily the favourite material for tiling, and comes in simple, textured or naturally-formed patterns. The next best material is porcelain, which offers a more contemporary style. However it is important not to use patented porcelain – where possible, always select plain colours or textures to achieve your desired effect, as industrial patterning will lose its lustre and attractiveness quickly, unlike its natural counterpart.